For me? I think the real test is the food. Thus began my search for delicious, healthy hipster approved All-American grub. 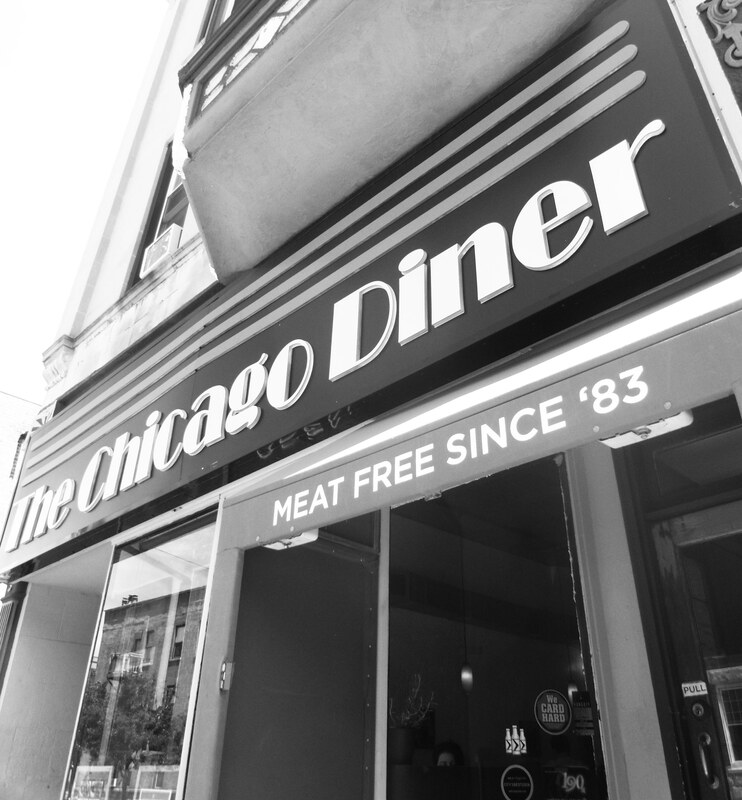 The Chicago Diner is an all vegetarian restaurant but don’t let that throw you. 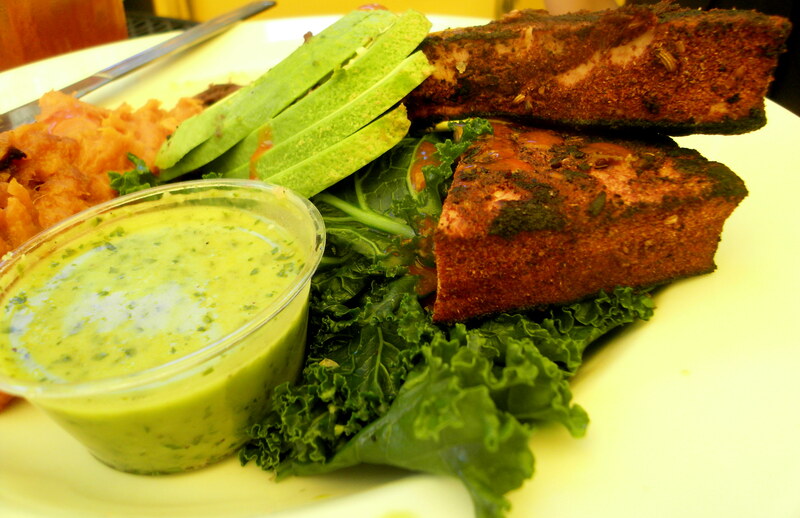 This ain’t no hippie health food restaurant. 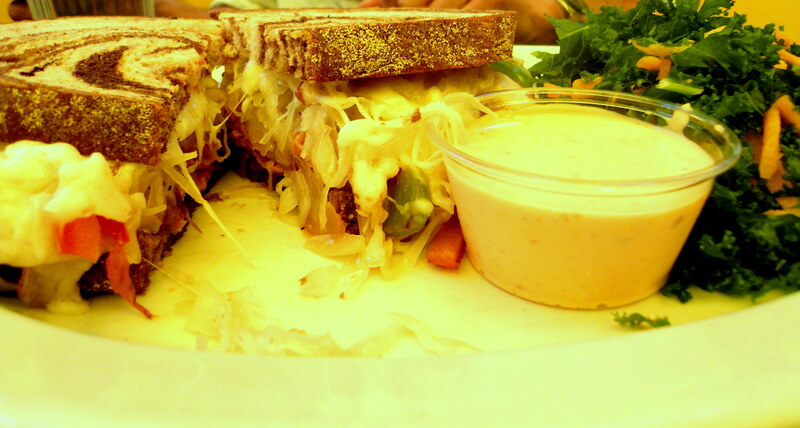 Sure you might find some epic salad bowls and kombucha tea on the menu…but you’ll also find a healthy hefty dose of for reals diner food like wings, fries, burgers & shakes. 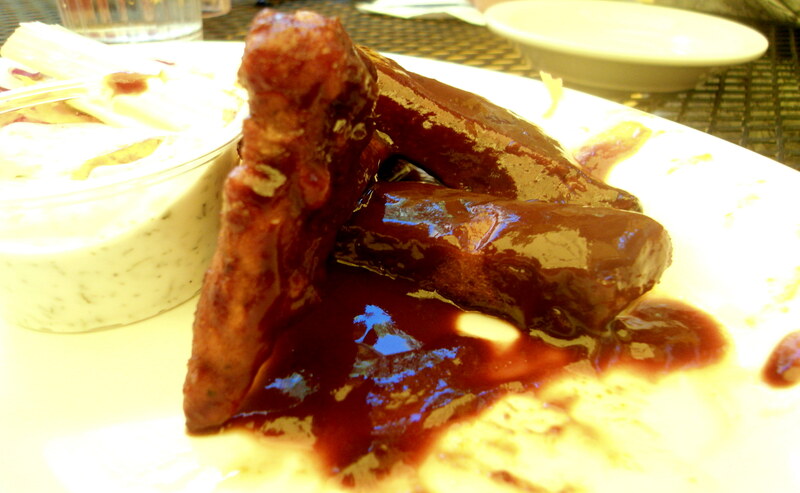 We started off with the Veggie Wings which were doused in a deliciously smoky, spicy sauce but would have easily stood up on their own. They had that elusive mix of crispy outside and soft chewy inside that is hard to achieve even with actual chicken! Did you just die a little? While I loved every bite of my burger and my sister demolished her tofu before anyone could try it (I’m still bitter) the dish I am most excited about recreating is this final sandwich. It looks the least appetizing but its smokey sour savoury deliciousness was beyond. 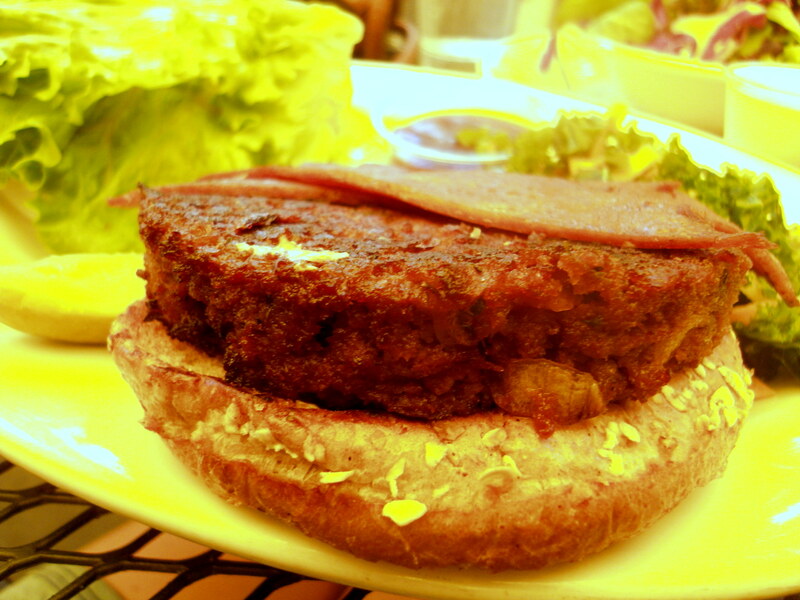 What is one classic diner dish you’d love to see veganized/healthified? I’m afraid that if I walked in there, I’d ordered everything on the menu – especially those wings! Wow do those look amazing! YES! I have half a mind to fly back to Chicago just for that delicious sounding shake!